Once a match has been published you can add your selected players for the match from the Select Players meta box. This is where you select the starting lineup and any substitutes for the match. You can drag-and-drop players to alter their display order. To add any substitutions used during the match click on the Substitutes Used tab. Select the substitute then choose the player that has been replaced during the match from the dropdown box. 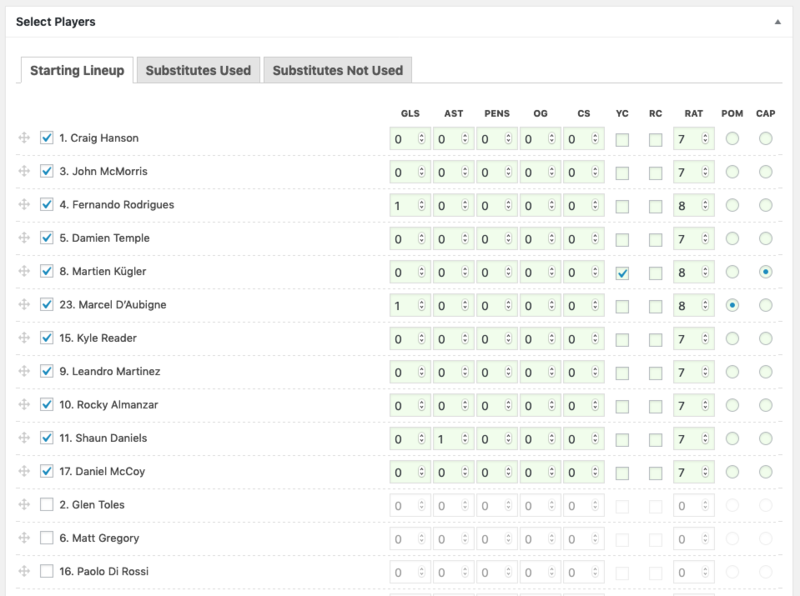 You can also add unused substitutes under the Substitutes Not Used tab. 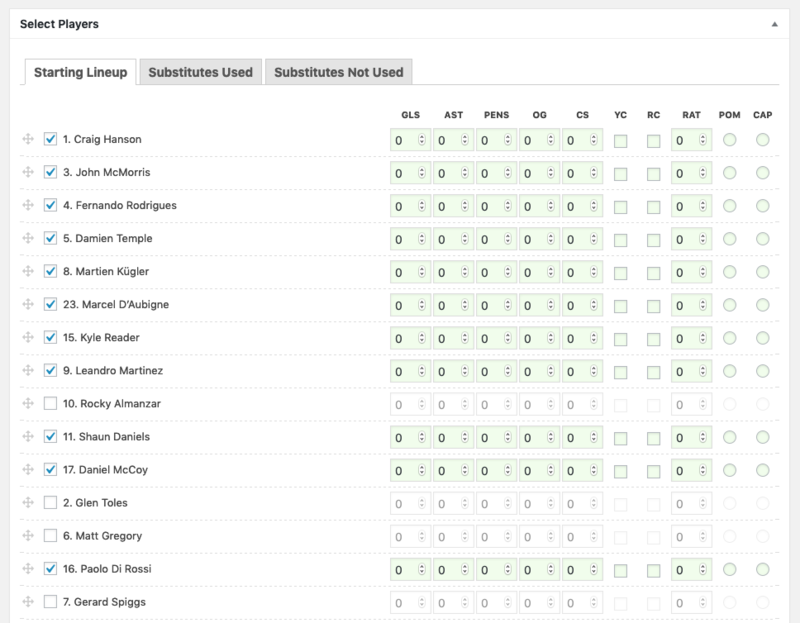 When a match has been played you can add performance statistics to the selected players and substitutes. The statistics available are dependent on your default sport and the statistics selected in the Club Manager > Settings > Players. Performance statistics will be recorded in each players statistics history.